CSI and the Flying Unicorns join together for the month of Sept! There are three components to your layout. 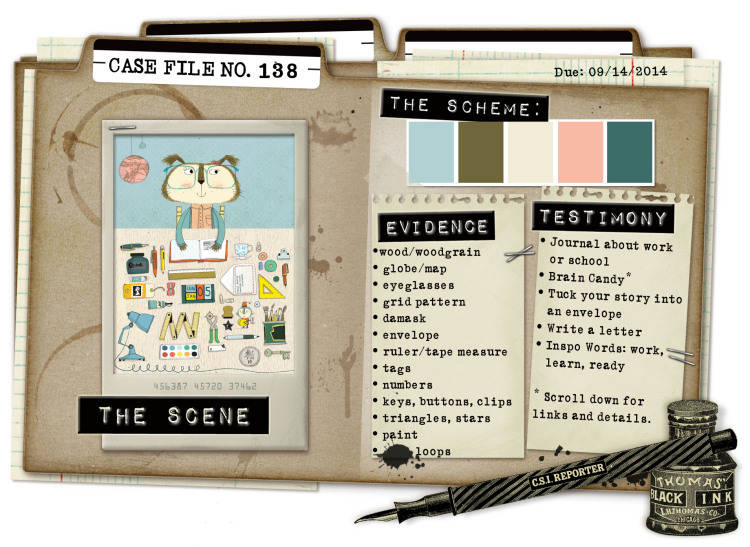 Colors, evidence and journaling. Topic: Document something about school or work. Prompt Idea: Be inspired by Brain Candy. Presentation: Tuck your journaling into an envelope. Writing Format: Write a letter. Inspiration Words: work, learn, ready-- use these as inspiration for your journaling, not just as a title. The deadline for completing Case File No. 138 is Sunday, September 14, 2014 at 11:59 p.m. EST. Thus, you have a week plus the two weekends to complete your layout. So this is an Escape Kitty page as you can see sitting atop a stack of embellies and acting as if she owns the place - which admittedly she does. 1. Wood grain paper from the Studio 75 collection featured in the Sept kit. The journaling part, or the Testimony , says "Learn from yesterday, live for today, Hope for tomorrow. Albert Einstein. " Well certainly less crafty than Kitty. My testimony uses the suggested inspirational word, LEARN. Far be it fro Kitty to not follow the rules. 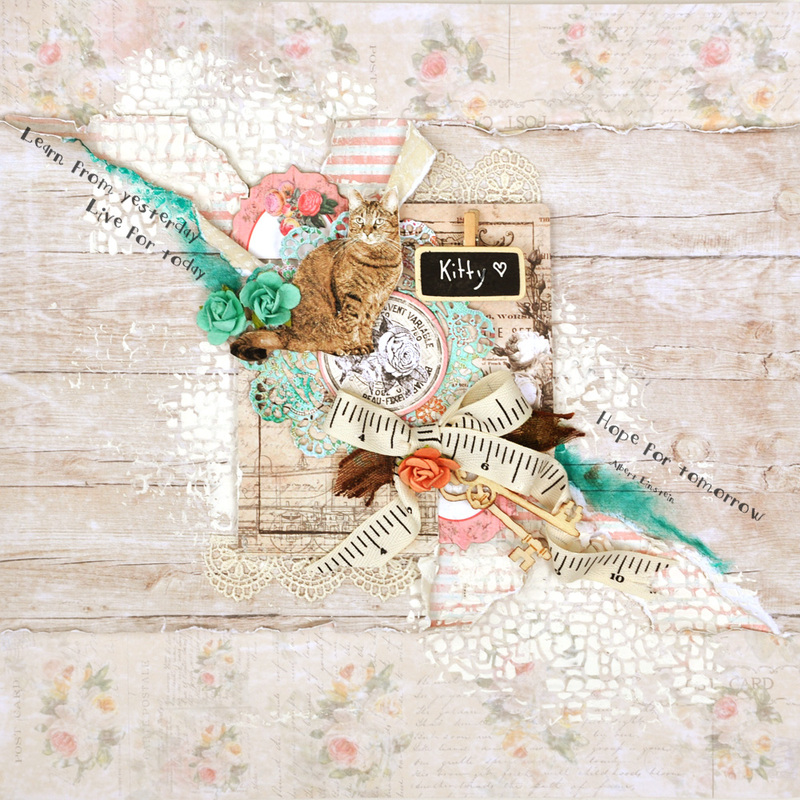 This piece from her was made using the Sept Kit of the Month from the Flying Unicorns. The measuring tape was from my local craft store however. 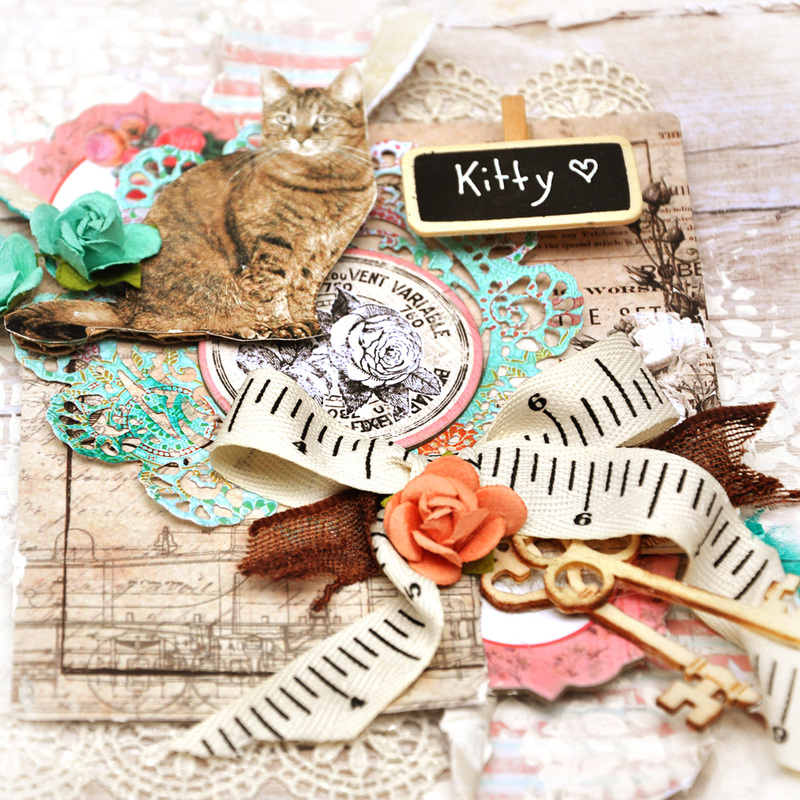 The background paper is from Studio 75 as is the woodgrain paper. Miss Olivia 03 and 02. The darling little chalkboard came on one of the add-on's from the Sept kit and I simply used a white sharpie to write her name. 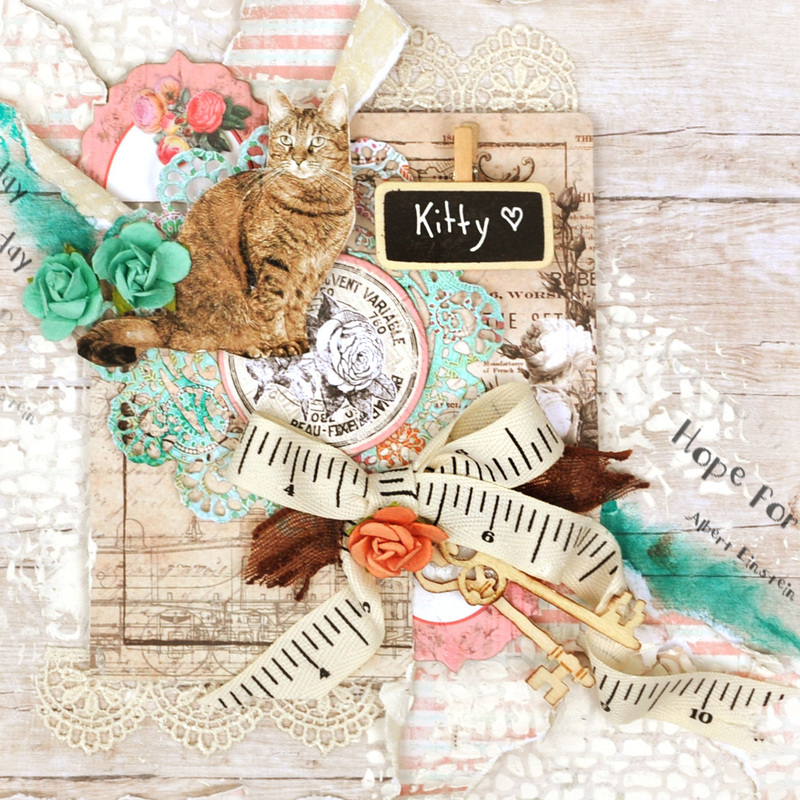 I have a whole bunch of things tucked inside the page - some chipboard pieces from the Prima Something Blue collection, and the wonderful Prima metal dies that have been misted with Color Blooms. They all rest upon a Prima Everyday Vintage Paintable card. This is fabulous! So pretty and very clever!